AGP & Co is a full-service award-winning and focused to excellence Law Firm, based in Cyprus, providing Legal, Corporate, FS Regulatory & Advisory, IP and Tax Advisory services. We are proud of our dedicated and brilliant people who make it possible for you to succeed in your endeavours. Our energetic teams of professionals have the background, skills and knowledge to give you the best possible representation. We strongly believe that hard work, personal attention and immediate response to clients’ needs, backed with focused professionalism and talent, is what sets us apart and beyond of other traditional firms. We are proud of AGP & Co’s support team who make it possible for personal attention to each and every client by having a policy of replying to each query within one working day. We aim at applying fresh thinking and personal attention as we strongly believe in expertise and specialized areas regarding consulting. We are proud of AGP & Co’s dedicated and brilliant people who make it possible for you to succeed in your endeavours, whatever these are from private matters to large business imperatives. "AGP consists of very experienced and professional advocates and legal advisors. They have been assisting us in a number of complicated projects and always supported us with perfectly performed ideas. By now AGP provides legal and corporate servicing for us with the highest level of professionalism and confidentiality. Angelos always brings the solution you need." "We have been cooperating with many lawyers and law firms in Cyprus for many years now. Depending to the legal matter we had we were choosing the right lawyer/firm. Ever since we are working with AGP & Co, since 2010, we have not engaged any other firm or lawyer. They offer high quality expertise in different areas of the law, personal attention to our needs, and fast. Ever since, we engage AGP & Co for all companies of our group as well as for our family matters. Special thanks to Angelos Paphitis and Stella Georgiadou." "I started working with AGP since 2007 as the CEO of an Israeli FX Firm with offices in Cyprus. The services we have been receiving have been excellent and they still are. Ever since AGP is the law firm that handles all regulatory and CySEC matters for us, as well as all corporate, tax, legal, immigration and other matters. So far I have been recommending AGP to all my friends and associates and I recommend AGP to any international firm or foreign citizen who consider engaging lawyers in Cyprus, or for setting up an investment firm in Cyprus or elsewhere. Thank you!" "I have been using AGP Law Firm in Cyprus for quite a few years now. They have always conducted my matters in a professional and efficient manner as well as a recent matter on extremely short notice. Many thanks to Niki Liassides, Angelos Paphitis and the remaining team. I have no hesitation to recommend AGP to anyone for their Cypriot legal matters whether they live in Cyprus or abroad. Karl." "This is the best law firm in Cyprus." "They bring with them a wealth of experience and knowledge and have been instrumental to the growth of our company. In addition to being exceedingly good at their work, they also take pride in simplifying what can be at times very complicated situations and ensure the best results possible. Both as an individual and as a business owner, I value their input and would highly recommend them as a solution for legal & corporate representation. It is an honor to be associated with such an esteemed and established form." Gal Ron | CEO, Conversion Pros Ltd & IFXEXPO Inc.
"Working with Christiana was brilliant, her understanding and insight into our situation meant that she was able to give us more help than we even knew we needed. Her efficiency and reactivity was also greatly appreciated." "Coast and Hills Developments, have lately engaged AGP & Co to represent us in a high profile particular case and ended handing them all our related businesses. And they thoroughly studied our cases and were able to advise us with the best thought solutions and courses of action. We believe that the AGP team is a gathering of the best professionals capable to serve businessmen not only locally but also internationally. We will always be grateful for their services, and glad they are on our side." "Angelos and his team have provided Hatch Energy Group with first class legal and financial support during the formation of our Group Corporate Head Quarters in Cyprus. The AGP team always respond quickly and are very professional and efficient – we look forward to our continued relationship!" "I would like to take the opportunity to say a few words for your firm. I have been working with AGP & Co. for the last 3 years now and have never been disappointed in their services while handling several matters of our company. In addition all the team of AGP & Co. is extremely professional, honest, knowledgeable and offers strategic advice regardless of how complex or critical the case is. Finally I would highly recommend this firm based on my experience." "We would like to express our great satisfaction with the high professionalism showed by AGP & Co. For the period of our partnership your company confirmed the status of a reliable partner in all types of business matters concerning legal advice, consulting, accounting and tax services. Many thanks for your reliable cooperation!" "Angelos is a very professional lawyer. I cooperated with Angelos for more than 10 years and can recommend him as totally reliable and responsible partner." Arsene D. | Head of Legal Department at Association of Advocates, Moscow. AGP & Co is ranked by IFRL1000 as “Recommended Firm 2019” for Financial and corporate. IFLR1000 is the guide to the world’s leading financial law firms, concentrating on financial and corporate law rankings. For the seventh consecutive year in a row, AGP & Co is ranked as Leading Firm by THE LEGAL 500 EMEA and has been recommended by CHAMBERS & PARTNERS in Dispute Resolution. For Chambers & Partners, AGP & Co is recommended in the area of Dispute Resolution alongside with its Managing Director, Mr. Angelos Paphitis. For Legal500 EMEA, AGP & Co is ranked as Leading Firm in the following Practice Areas: Dispute Resolution, Commercial, Corporate and M&A, Banking and Finance, Tax. In addition, AGP & Co received 6 additional awards and recognitions during 2018. AGP Law Firm has been recommended and recognized as a Leading Firm for 2017, which is the sixth consecutive year in a row, by THE LEGAL 500 EMEA and has been included in CHAMBERS & PARTNERS – the world’s top legal referral guides. AGP & Co is for the sixth consecutive year listed by the Legal 500 EMEA as Leading Firm in the following four categories: "Dispute Resolution", "Banking & Finance", "Corporate and M&A" and "Tax" in Cyprus. In addition to the above, AGP Law Firm has been noted for its expertise in Dispute Resolution by Chambers and Partners and Angelos Paphitis has been included as a recognized practitioner in the same category. AGP & Co is for the fifth consecutive year listed by the Legal 500 EMEA as Leading Firm in the following four categories: "Dispute Resolution", "Banking & Finance", "Corporate and M&A" and "Tax" in Cyprus. AGP is also awarded as "Cyprus Overall Law Firm of the Year" by ACQ Law Awards 2015. AGP & Co is for the fourth consecutive year listed by the Legal 500 EMEA as Leading Firm in the categories "Dispute Resolution", "Banking & Finance" and "Corporate and M&A" in Cyprus. AGP & Co is also listed in Top 80 Law Firms in Cyprus, by the Gold International Investment, Business & Finance Magazine (InBusiness Cyprus); August - September 2014 issue. AGP & Co is for the third consecutive year listed by the Legal 500 EMEA as Leading Firm in the categories "Dispute Resolution", "Banking & Finance" and "Corporate and M&A" in Cyprus. AGP & Co is also awarded as "Overall Full-Service Law Firm of the Year" by ACQ Global Awards 2014, and awarded as "Top 50 Offshore Excellence" by Acquisition International, brought by AI Global Media, a UK-based publishing house. AGP & Co is for second consecutive year listed by the Legal 500 EMEA as Leading Firm in the categories "Dispute Resolution" and "Banking & Finance" in Cyprus. AGP & Co is also awarded as "Top 50 Offshore Excellence" by Acquisition International, brought by AI Global Media, a UK-based publishing house. The construction of AGP Chambers offices building is completed in July 2012. A.G.Paphitis & Co., as well as the entire AGP Group of companies, moves into our new privately owned 5-storey offices. The building is designed and installed with cutting edge high technology systems enabling us to take full advantage of today's advanced technology products for best serving our clients. Following multiple litigation successes AGP & Co is listed by the Legal 500 EMEA as Leading Firm in the "Dispute Resolution'' category in Cyprus. A.G.Paphitis & Co. has been awarded 5 "Law Firm of the year in Cyprus" category wins in 'Corporate Governance' and 'Overall Law Firm' by 'Global Law Experts', 'Finance Monthly Awards' and by 'ACQ 5 Law Awards'. A.G.Paphitis & Co. has been awarded 2 "Law Firm of the year in Cyprus" in Corporate Governance by 'Corporate International Global Awards' and by 'Global Law Experts', UK. A.G.Paphitis & Co. is recommended in "Top 50 Law Firms in Cyprus" by the Gold International Investment, Business & Finance Magazine (InBusiness Cyprus), September 2011 issue. The same year, A.G.Paphitis & Co. is listed in "TOP 25 LAWYERS IN CYPRUS", by the Corporate INTL Journal (UK), October issue 2011. A.G.Paphitis & Co. registers and opens a branch in Athens, Greece. Awarded as "Corporate Governance Law Firm of the Year 2010 in Cyprus" by Corporate INTL UK. A.G.Paphitis & Co. evolves to a Lawyers Limited Company (LLC) and becomes a Full Service Law Firm, serving clients in all areas of the law. A.G.Paphitis & Co. was founded by Angelos G. Paphitis in 2006, as a boutique Law Firm specializing in company law, corporate and M&A, banking and finance law. AGP Law Firm is a lawyers’ company limited by shares, incorporated in the Republic of Cyprus with registration number 246927. Our registered office address is situated at 84, Spyros Kyprianou Avenue, AGP Chambers, 4004 Limassol, Cyprus. We are regulated by the Cyprus Bar Association, registration number 153. AGP Law Firm is subject to the Cyprus Bar Association Code of Professional Conduct. AGP Management Limited is our group Corporate Management Services Company, limited by shares, incorporated in the Republic of Cyprus with registration number 337301. We are registered as a regulated Corporate & Fiduciary Services Provider, with the Cyprus Bar Association. AGP Management Limited is subject to the Cyprus Bar Association Code of Professional Conduct. AGP Trustees Limited is our group Trustee Company, limited by shares, incorporated in the Republic of Cyprus with registration number 337315. 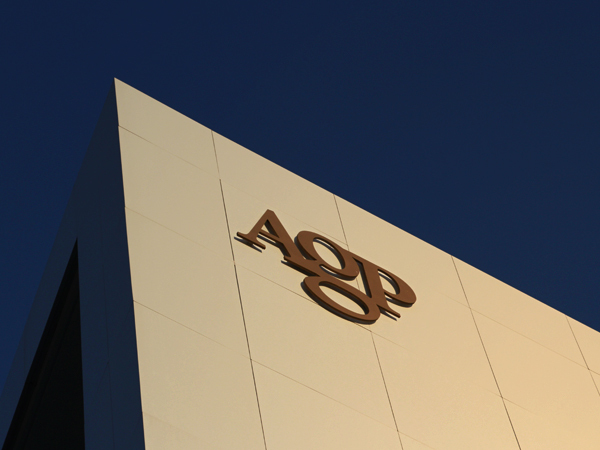 AGP Trustees Limited is subject to the Cyprus Bar Association Code of Professional Conduct. AGP Directors Limited is our group Accounting and VAT Services Company, limited by shares, incorporated in the Republic of Cyprus with registration number 337116. AGP Accounting Services Limited is headed by certified public accountants, operating subject to International Financial Reporting Standards (IFRS). AGP Secretaries Limited is our group Secretarial Services Company, limited by shares, incorporated in the Republic of Cyprus with registration number 337121.